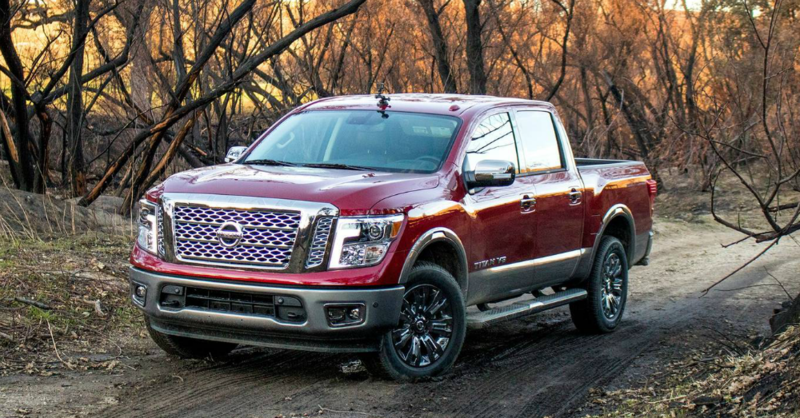 Nissan knows that you’re going to want to make use of your pickup truck to get work done. It doesn’t matter if that work is for play or for the job you need to do throughout the week. Because you need to be able to depend on your truck to get the job done, Nissan offers the 2019 Titan with an impressive five-year/ 100,000-mile bumper-to-bumper warranty, which is the longest warranty in the business. This truck has the potent power you need under the hood and the amazing qualities you’re looking for when you get ready to drive. Just because the Titan wears the Nissan badge, doesn’t mean it’snot built in the US. This truck is built at the Nissan plant here in the US and it brings you plenty of power. Do you need to tow a trailer that weighs up to 9,660 pounds? Are you looking to carry a heavy load in the bed of the truck that you drive? The 2019 Nissan Titan can give you all the power you need and the pride you’re looking for when you want a truck that’s built domestically. The power and performance of the Titan are impressive, but when you get behind the wheel, you want the experience to be an enjoyable one. For 2019, the Titan is upgraded with a 485-watt 12-speaker Fender audio system which has been added to the options list. New standard items include a seven-inch touchscreen audio display and the Nissan Rear Door Alert system. You’ll have the benefits of Apple CarPlay and Android Auto as part of the standard equipment as well, making it possible for you to connect your smartphone and have the apps you use every day. When you stop to unload the materials in the bed of the Titan, you won’t have to worry about the tailgate slamming down because the load shifted. Every model of the Nissan Titan is equipped with a damped rear tailgate that slowly lowers to make it easy for you to be in the right place to unload your gear. This system also raises the tailgate slowly as it approaches the closed position to make sure you don’t have to slam it shut when you’re closing it to head out on the road for a drive. The pickup truck you’re looking for is the 2019 Nissan Titan. This incredible truck is waiting for you at your nearby Nissan dealership for you to take it for a test drive and see if it can be the right truck for you. Get behind the wheel and let this truck become the one that will be easy for you to drive and enjoy when you head out on the road. It’s time for you to have the truck with the long warranty and all the features you need; choose the Nissan Titan today.